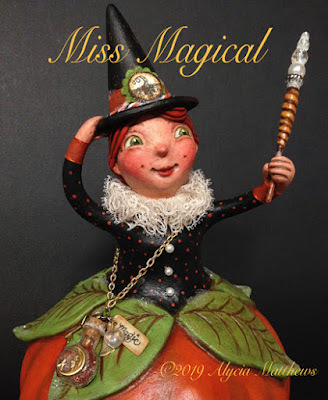 "Miss Magical" – this charming little witch is ready to sprinkle some magic on you! 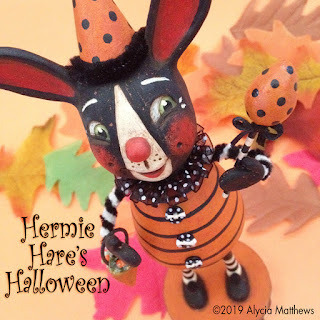 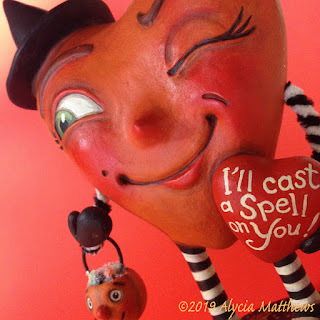 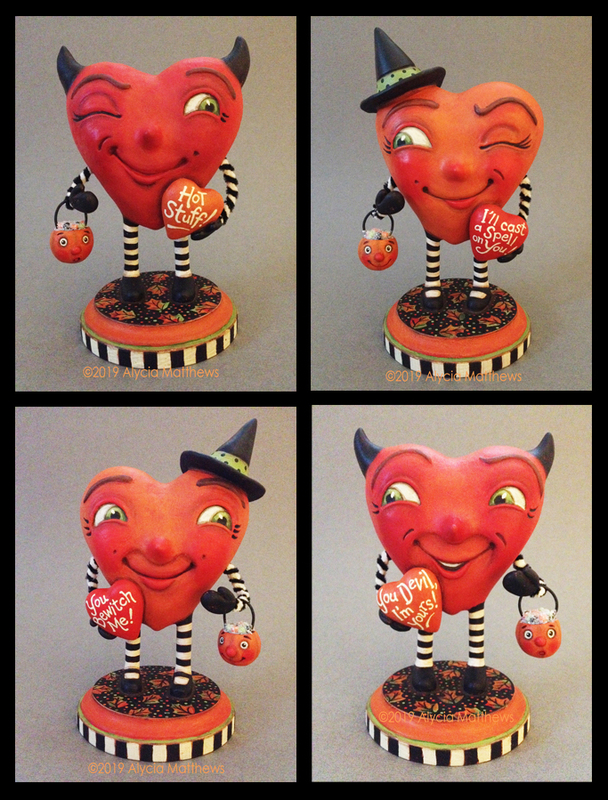 Now in my Etsy Shop ~ Just in time for Your Halloween loving Valentine! "I'll Cast a Spell on You!" 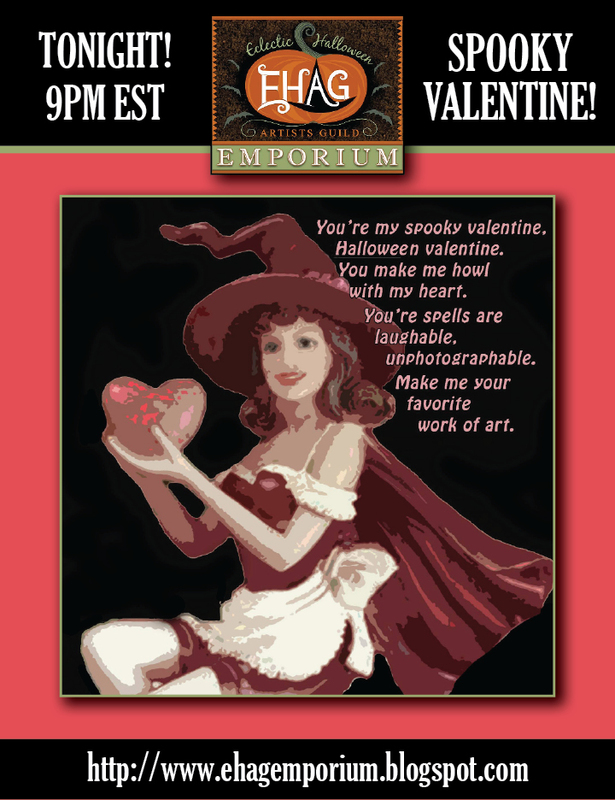 TONIGHT ~ January 31 at 9pm est EHAG Emporium! 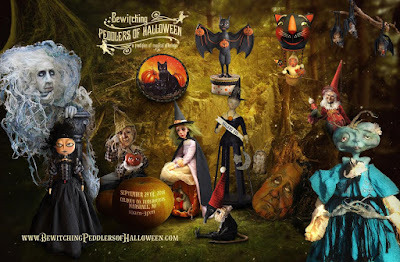 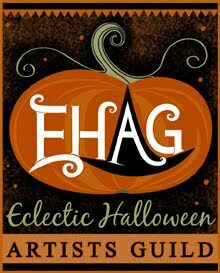 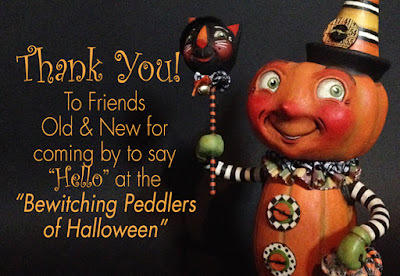 The first Eclectic Halloween Artists Guild (EHAG) Emporium is tonight January 31 at 9pm est. 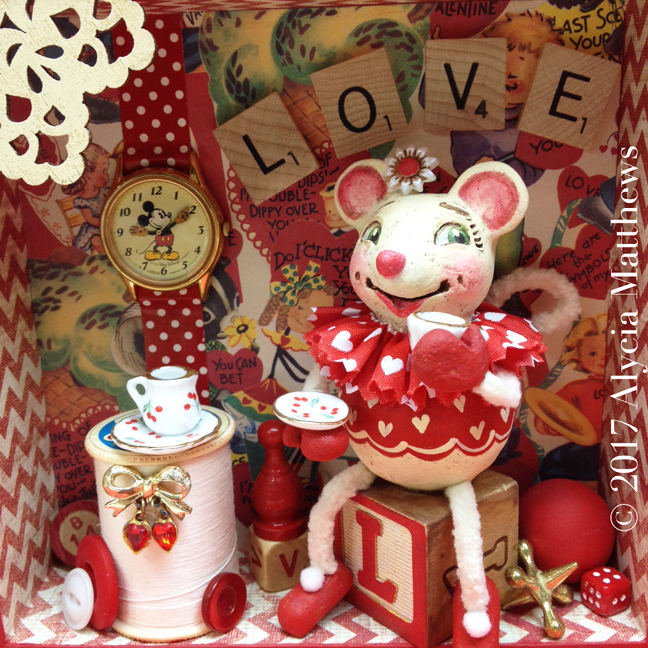 Our theme for this month's Emporium is "Spooky Valentine". Most artworks will be a cross between Halloween and Valentine's Day. So take a look tonight for some fun artworks by the artists of EHAG! 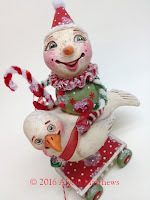 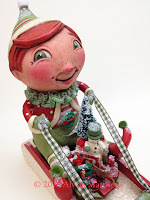 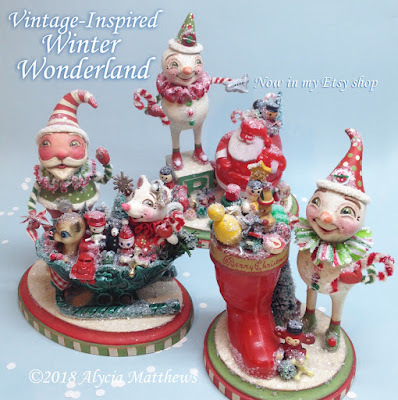 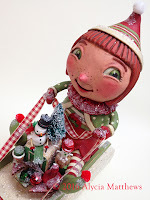 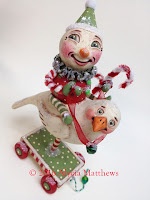 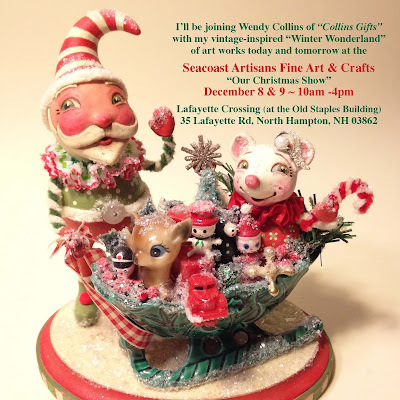 Vintage-Inspired "Winter Wonderland" now in my Etsy shop! Halloween Treats Now in My Etsy Shop! 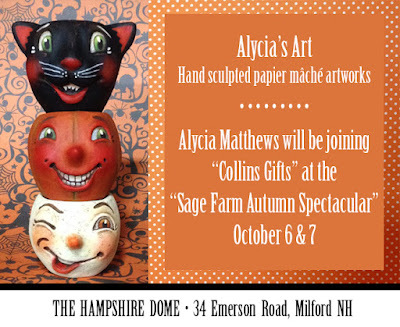 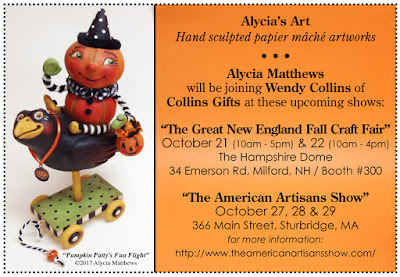 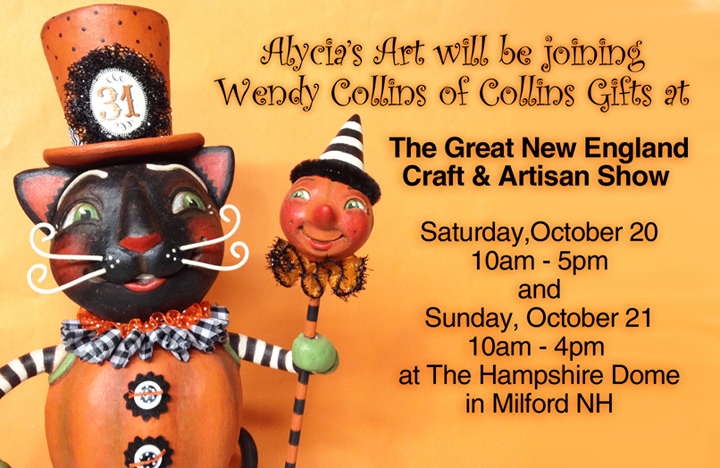 Getting ready for Autumn Art Shows! 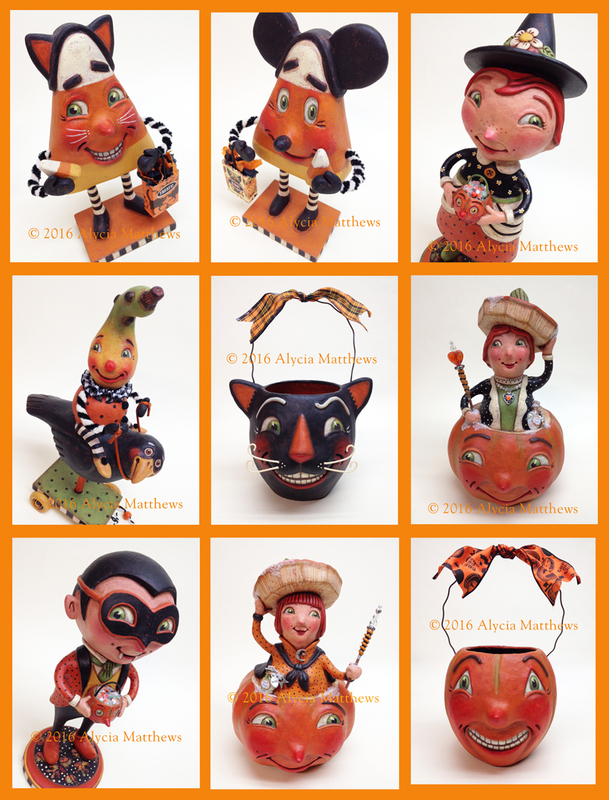 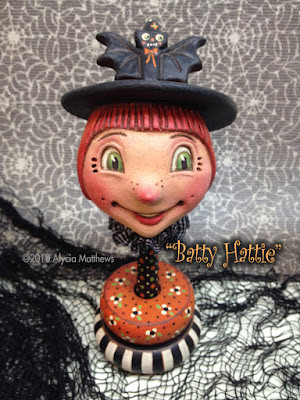 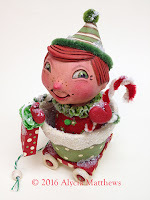 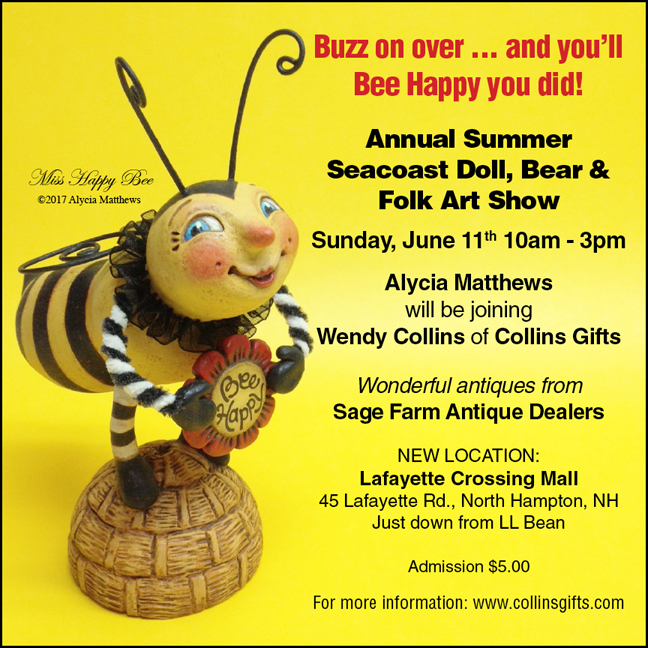 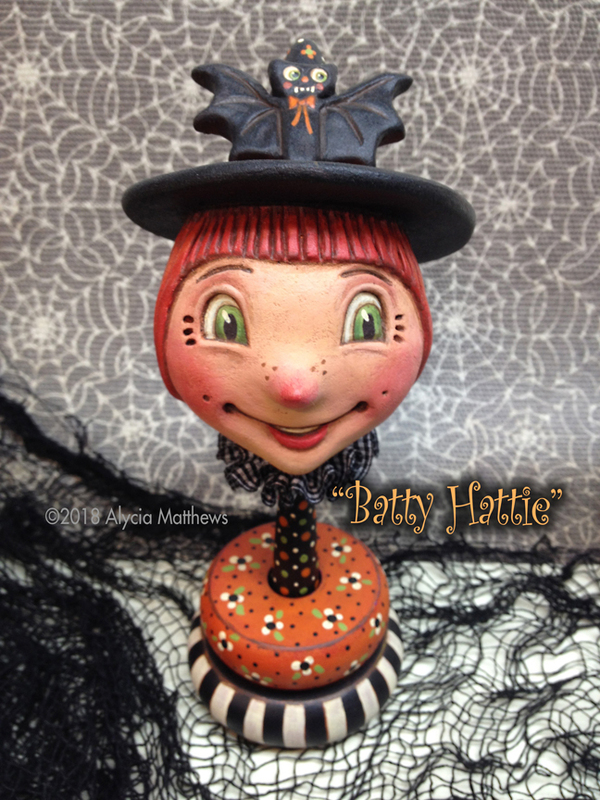 "Batty Hattie" (the maraca), will be shaking things up! Tonight's the Night for the EHAG Emporium! 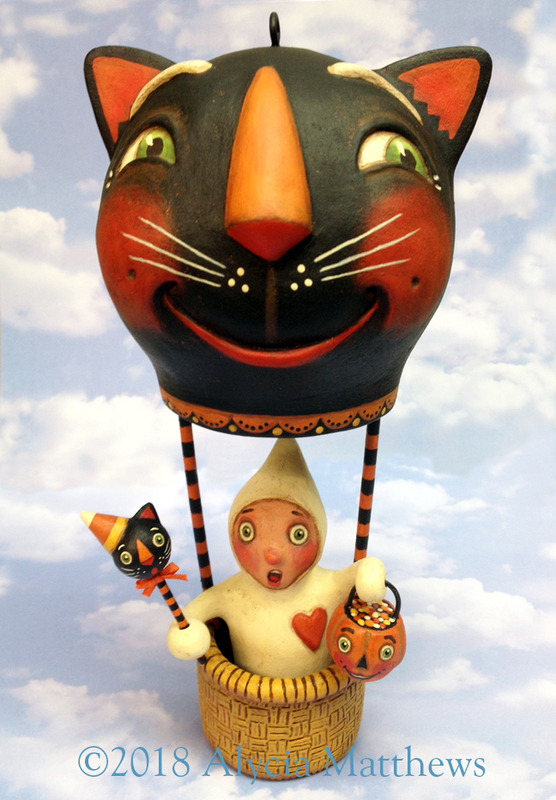 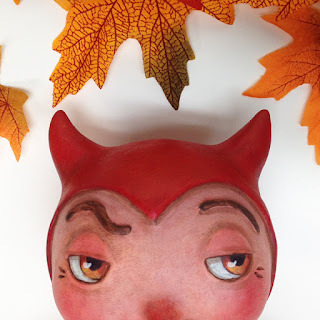 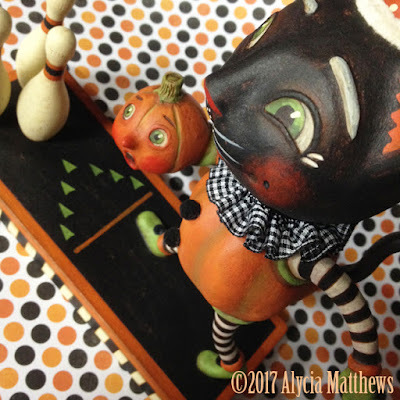 in the latest issue of Art Doll Quarterly. 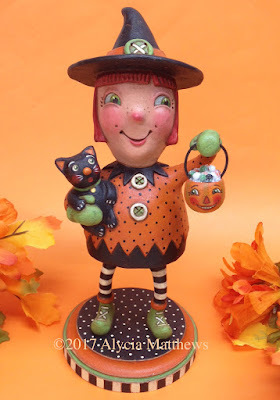 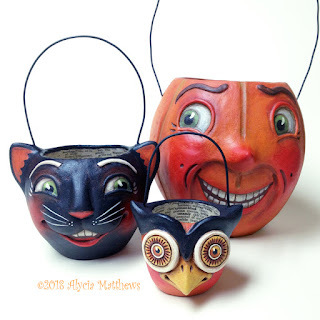 Trick or Treating fun this Halloween! 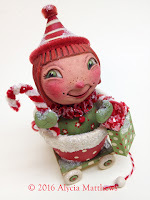 New "Whimsical Winter" Artworks in My Etsy Shop! "Boo. 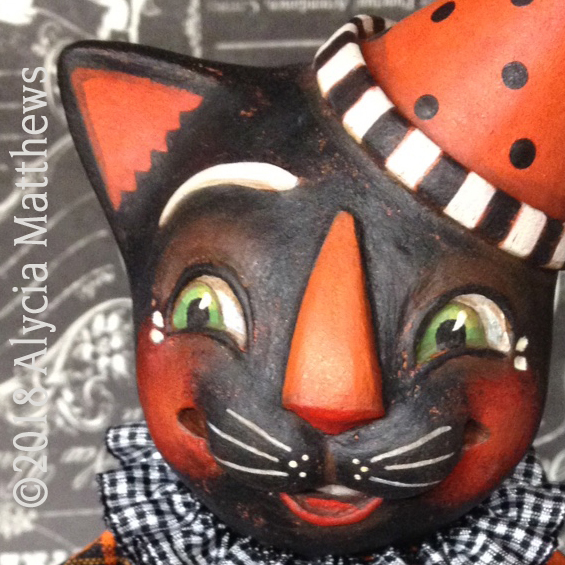 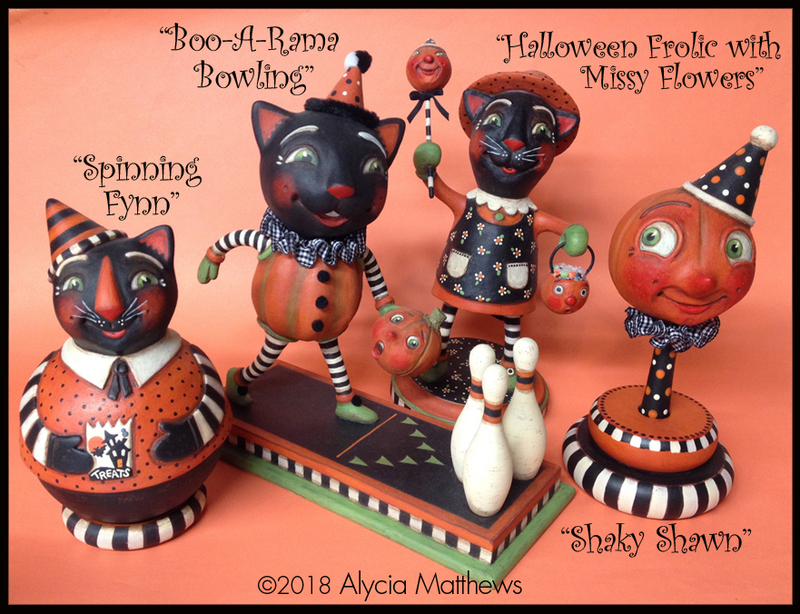 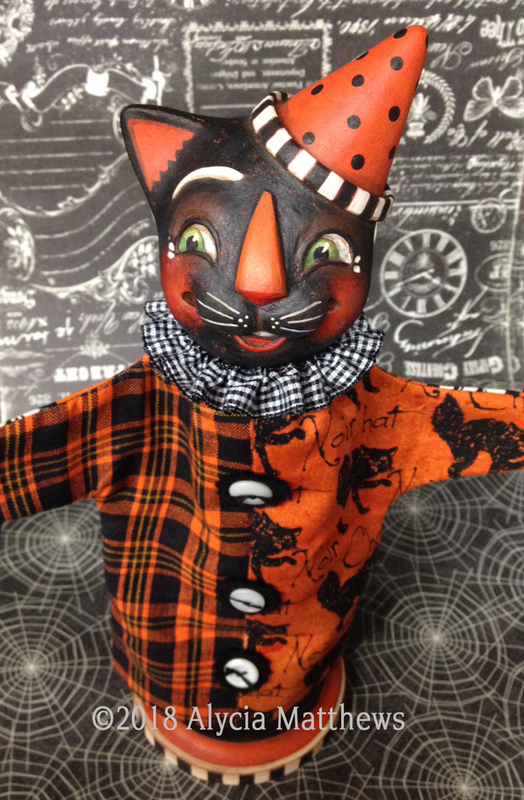 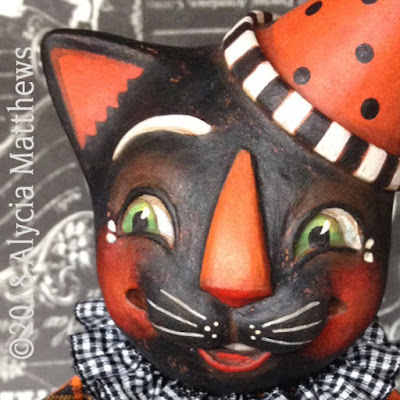 the Bowling Alley Cat"
Now in my Etsy Shop! 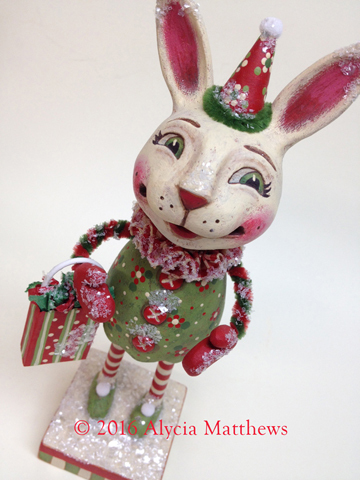 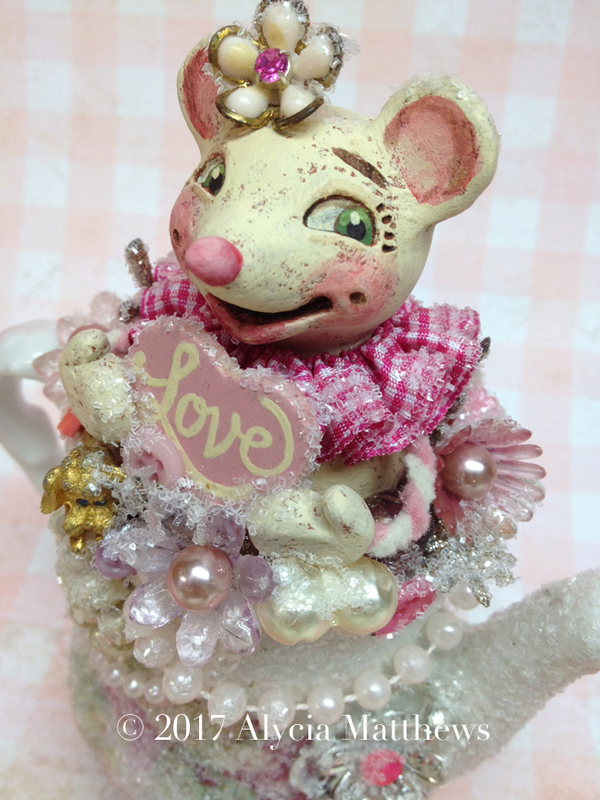 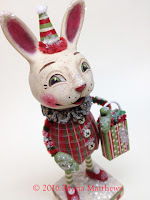 "Trudy & Whisker's Sweet Treats"
creaks open at 9pm EST ! 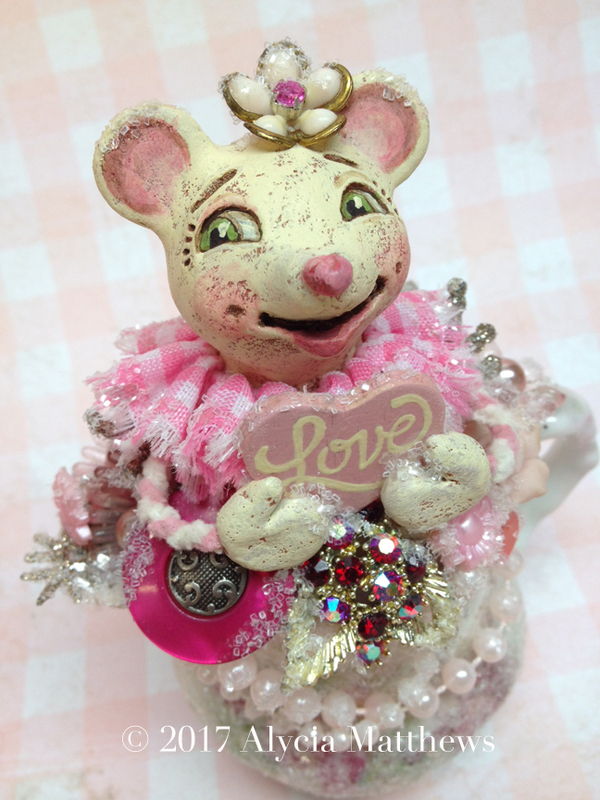 Love is in the air . 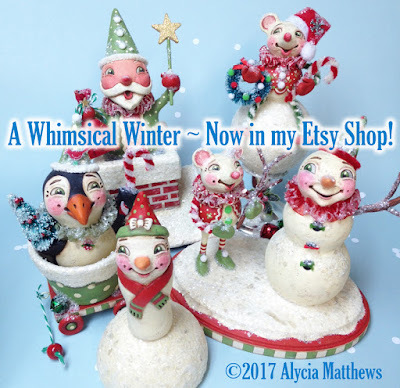 . . and my Etsy Shop! 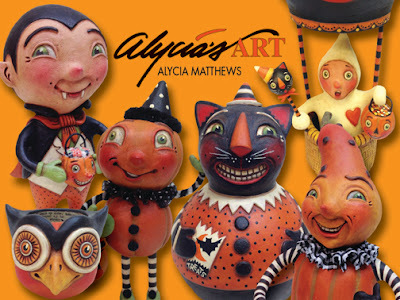 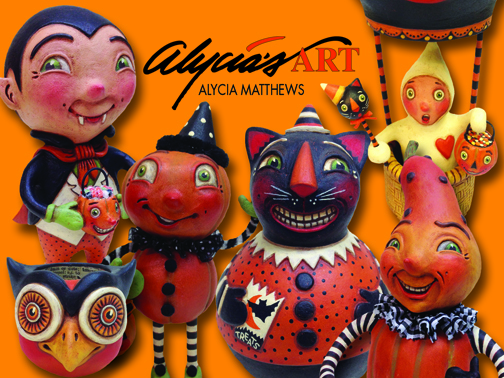 Shop Now in Alycia's Art Etsy Shop! 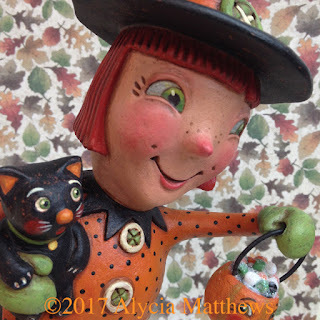 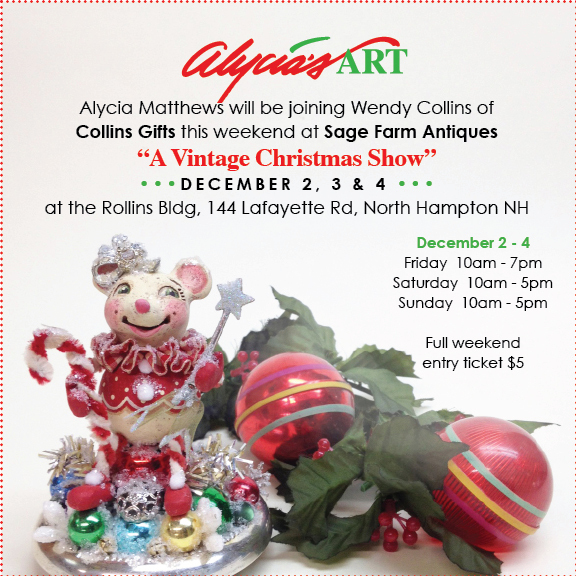 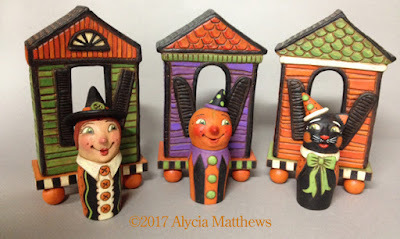 The York Folk & Fine Art Show ~ This Weekend in York, Pennsylvania! 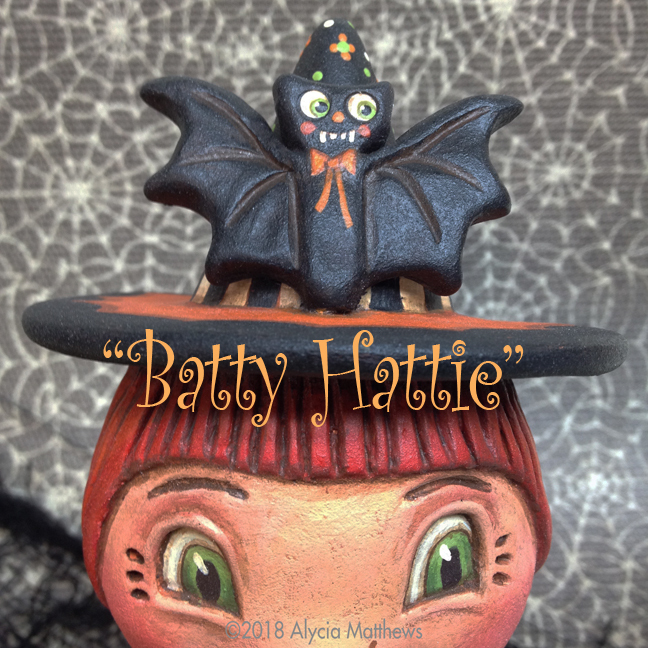 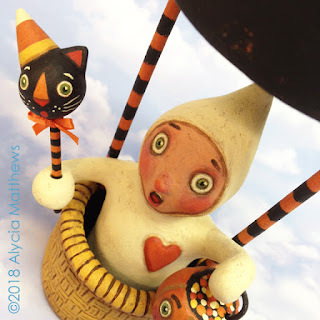 Halloween Treats - Now in My Etsy Shop! 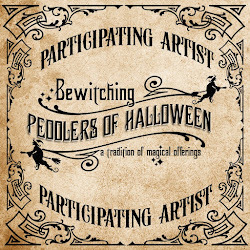 EHAG Emporium • Halloween Night, October 31, 2016 - 9pm est. Halloween is creeping closer and closer . . .
Monday, October 31, at 9pm EST. Copyright: All contents/images in my blog are my own creations and not to be reproduced or copied without my permission, thank you.